At Smile Arkansas, our Little Rock emergency dentist makes your dental health and comfort his top priority. Whether you need a routine treatment or have a painful tooth that needs immediate attention, we take caring for your smile seriously. 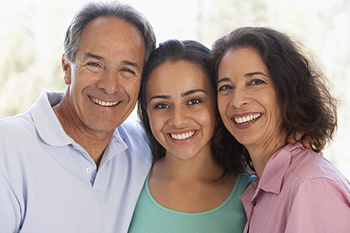 We utilize the latest dental technology to make your appointments go quickly and smoothly. Our goal is to be here when you need us, especially in a dental emergency. We understand that tooth pain can cause time to feel like it’s standing still. That’s why we do our best to get you into the office on the same day that you call us with a dental emergency. In some cases, putting off a trip to the dentist can cause you to experience complications, including infection or increased damage to your tooth. Our experienced Little Rock emergency dentist is here to stop any dental pain you may be experiencing, and our team at Smile Arkansas will help you resolve your emergency with gentle care. Any time you are in pain or notice a significant change to your teeth or gums, give our friendly office a call at 501.821.4200. Our helpful, experienced team can easily determine whether you need an emergency appointment. We always strive to get our patients in for an appointment as soon as possible, and we can often see you the same day during our regular business hours. At Smile Arkansas, we are here for you! As one of the premier dental practices in Arkansas, our team at Smile Arkansas also provides emergency dental care to patients from Little Rock, Maumelle, Conway, Bryant, Benton, Cabot, Sherwood, Hot Springs, Hot Springs Village, Pine Bluff, Fayetteville, Bentonville, Rogers, Springdale, Russellville, El Dorado, and Camden, AR.